What Are The Benefits of Outsourcing Your Take Away Packaging? The average business faces a selection of complex challenges every day, from seasonal swings in consumer demand, to the complexities of promoting a new product. 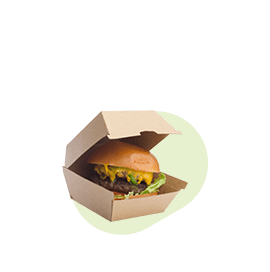 With so much to think about already, the last thing you want to worry about is creating the perfect custom take away packaging for your take away products. Working with the right packaging manufacturer who can handle the creation of your incredible sales solutions for you can ensure that you have the freedom to focus on what you do best, without having to compromise. Let’s look at just some of the great benefits that come with outsourcing your packaging needs. One of the biggest advantages of outsourcing your packaging needs is that you get to reduce your operational expenditure. A packaging expert can handle all the expenses of creating excellent packaging on your behalf, so you only have to pay a single fee at the end of the day. On the other hand, if you had to print and create packaging yourself, then you might need to invest in next-level technology, specialist machines, and more business space so you have room for production. Additionally, unless you already have someone in your team that specialises in custom take away packaging creation, you may also need to spend money on hiring new talent for your firm too. Eventually, all of this adds up to an expensive packaging process. As a business owner, the chances are you’ll have to wear several diverse hats to keep your company running smoothly. Unfortunately, the more you must worry about, the harder it can be to organise your time effectively. When you’re busy focusing on packaging and production, you don’t have time to focus on other important things like making sure you take advantage of new promotional strategies, or partner with valuable supporting companies. Outsourcing your take away product packaging needs to a professional means that you can stop worrying about that aspect of your company and focus your attention elsewhere – often on the tasks that you’re best-suited to manage. When you outsource your product packaging to a professional, you also get to benefit from their years of experience and expertise. This can mean that your business becomes more efficient, and you can get your product to market faster too. Ideally, you’ll want to get your packaging manufacturers involved in the product development process as quickly as possible. The more the people you work with understand the unique needs of your business, the more they can tailor their services to suit your timelines. Remember, if you have any specific deadlines you need to meet, you can always discuss this with your outsourced packaging company ahead of time so that they can let you know whether they’re able to meet your requirements. Finally, when you use the talent of a professional packaging company, rather than trying to focus on managing your entire go-to-market strategy in house, you access next-level skill and expertise that can help your products to really stand out wherever it goes. Outsourcing your packaging manufacturing to professionals also means that you’ll be able to find specialists who can make sure that your products comply with safety standards and other regulations. Ultimately, while outsourcing packaging might seem like an extra expense to begin with, the truth is that it could save you more time and money in the long-run. This entry was posted in Packaging and tagged brand, custom packaging, logo, packaging, packaging designs.